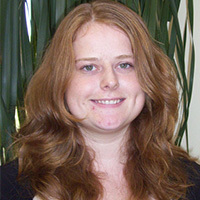 Catherine entered the PhD program at Baylor in August 2010. Before coming to Baylor, she was a senior associate at a public policy consulting and advocacy firm in Toronto. In this capacity she performed research and writing and was involved in the work of airline and industry experts in developing policy positions and consulting with the Canadian federal government. She completed undergraduate studies at Thomas Aquinas College in Santa Paula, California in May 2008. Her primary field is political theory, and she is especially interested in classical political thought.